I have truly been enjoying the sunshine these last few days! So I made some lemonade! I could not think of a better, more refreshing way to celebrate the sun and this amazing weather! As you will see in the post below, I normally make my lemonade pink by adding cranberry juice. 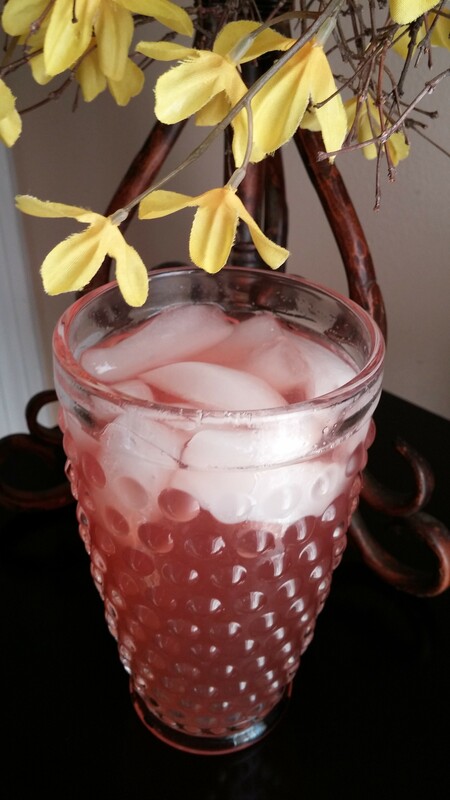 I decided to put a little spin on it and instead I added my cranberry sweet tea! If you want a true pink color add the juice, if you want a tasty different flavor add some ice tea to it! To add even more jazz, add in a few splashes of Pellegrino Sparkling water! 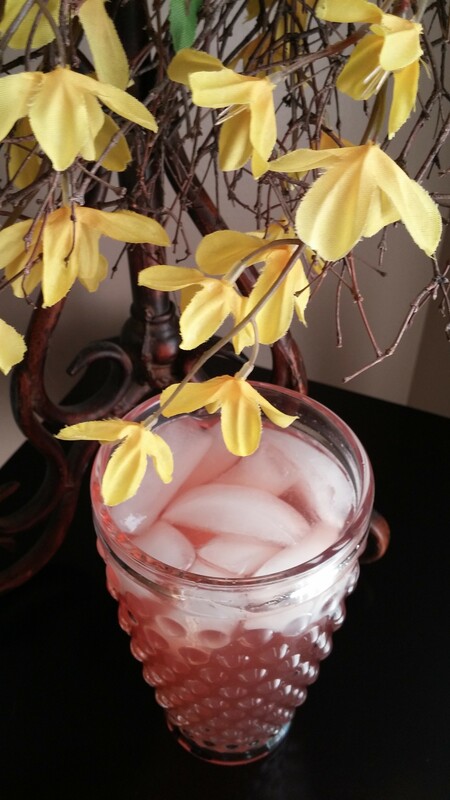 Today’s post was first published last May but the pictures are the lemonade I made recently with the tea! ENJOY! I will see you back here on Monday with a Spring project! Enjoy the rest of your week and weekend! Today I am sharing a pretty simple recipe! I’ve been making homemade lemonade for many years now. It is simple to do. You control the sugar too! I have had many requests for this as well and I can’t have a family function anymore without it! I always make plain lemonade but wanted to try Pink lemonade! I experimented with a few things and found cranberry juice to be the best. All you need is a small splash in your bottle and pitcher to get the pretty pink color AND it does NOT change the taste! In a small saucepan combine; 1/3 cup sugar, 1 cup water and about 3 zest slices from a lemon. Bring to a boil and quickly turn it down to a low simmer for 15 minutes. In a pitcher or bottle; combine the juice from 2 lemons, 3 cups of water, the sugar syrup (remove the zest strips and discard) and a splash of cranberry juice. Give it a taste, if you like a tart lemonade, add the juice of one more lemon. Shake or stir well and enjoy! I purchase the mini bottles of cranberry juice. You use very little to make the lemonade pink.